I did a guest blog about this topic, mainly targeted at younger drummers or drummers from non-jazz genres who are considering why they should spend the time and energy to learn jazz. Most drummers do not grow up listening to jazz music. In many cases, including my own, drummers don’t start exploring jazz until they are encouraged to do so by a teacher. Jazz music is a big, complicated, and intimidating genre, and often times it doesn’t resonate with a new listener right away. When you add all these factors up for many students the question is, why bother learning jazz at all? I am going to try to answer this question to the best of my ability based on the main benefits to my own playing from learning jazz. Please keep in mind that I am not claiming that the following benefits are an exhaustive list, or the sole domain of jazz drummers. The drum set as an instrument was created to play the jazz music of early 20th century New Orleans. Drummers needed a way for one person to play both parts of a traditional New Orleans marching band, bass/hihat and snare, at the same time. From that point on, the history of the drum set has been inextricably linked to the history of jazz. Learning about the great jazz drum innovators of the past like Baby Dodds, Papa Jo Jones, and Max Roach can teach you a lot about why we play the way we do today. Getting this historical perspective on the instrument through studying the great jazz drum innovators can immeasurably enrich your playing. In jazz, improvisation is at the heart of everything you do. Learning jazz is largely about learning to improvise rhythmically. There are two important parts of learning to improvise. First, rather than thinking of what you are playing as a beat or pattern, you develop the flexibility to adapt what you are playing based on what is going on in the music, all while maintaining a strong overall groove. Secondly, and just as important as learning to change what you are playing, you also quickly learn to focus on what is going on around you in order to respond appropriately. No matter what kind of music you play, the ability to listen intently and improvise fluidly in response will always be useful. Because jazz is the oldest drum set tradition, it has had the longest time to develop. One result of this is that jazz drummers are forced by the genre to play a wide range of tempos, dynamics, and rhythmic feels. On any given gig, jazz drummers will have to play everything from an exquisitely soft ballad with brushes, to a burning uptempo standard, and everything else in between. This expanded range adds a lot of depth and versatility to a drummers playing. 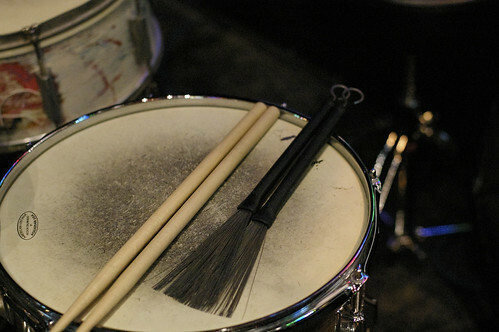 In order to thrive in the world of contemporary jazz, drummers have to learn a lot about music. Some examples include being able to read and write charts, having a minimal understanding of piano, having basic theory proficiency, and most importantly an extensive vocabulary of tunes, composers, styles, and drummers at their disposal. The broader musical perspective that you get from learning these things will give you additional insight into whatever music you play. Hopefully this list of benefits will encourage you to start pursuing jazz on your own. Even though it can be hard at first, learning jazz is worth the effort!